→Motor Club of America Review: Is MCA Legit Or a Scam? 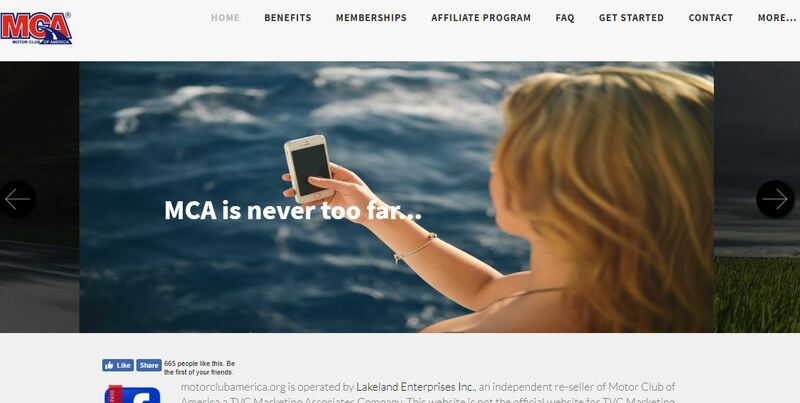 Motor Club of America Review: Is MCA Legit Or a Scam? Kirjoita henkilölle, joka on kiinnostunut tästä business mahdollisuudesta. You have come to the right place. I am not affiliated with MCA but I know many people who are. I have also seen many videos on YouTube and biased reviews on the Internet by their members who promote the system. My purpose is not to promote MCA but I want to provide you information about their company in order to help your decision whether it’s the right program for you or not. This review is targeted especially for you if you are considering making money with MCA. On YourOnlineRevenue.com we have reviewed more than 300 work from home opportunities so we have a large experience of different options. As a member of MCA, you could as help with your phone and they have promised to help you on the road. Type: Road Assistance. Multi-Level Marketing. Short Review: In my opinion, Motor Club of America is one of the best MLM-opportunities in the world. They have a long 90 years of experience in the industry and many people really enjoy their road assistance services. In addition, joining their system to promote MCA doesn’t cost anything, unlike many other network marketing programs. If you are going to join, you still need to figure out how to make sales and find new prospects. If you are only doing it offline, you may have a hard time to find new potential members. That’s probably the reason why most MCA sales associates earn less than $100. I highly recommend that you generate leads to your offers through the Internet by following the principles of My #1 Recommended online business training. Motor Club of America (MCA) is one of the oldest and largest motor clubs in the United States and Canada. They have been around already for more than 9 decades which is a great sign of their success and consistency. They provide roadside assistance for a monthly membership fee and also an MLM-business opportunity where you can earn money by selling their products and recruiting other people to the system. I don’t understand why they say on their website that it’s not a network marketing business even though we clearly see it is and most people admit it as well. First, let’s have a look at what are their actual products. Motor Club of America is not a recruiting pyramid scheme where you would just earn money by getting new people to the system. It’s a legitimate company that provides a helpful service for their members. On their website they have a Bible verse 1 Corinthians 10:31, “So whether you eat or drink or whatever you do, do it all for the glory of God.” which tells about their strong and healthy values. The idea with MCA is that a member pays a monthly fee and gets unlimited help. It’s like with Legal Shield MLM-system but in this case, they provide the help for the road while Legal Shield is focused on lawyer services. 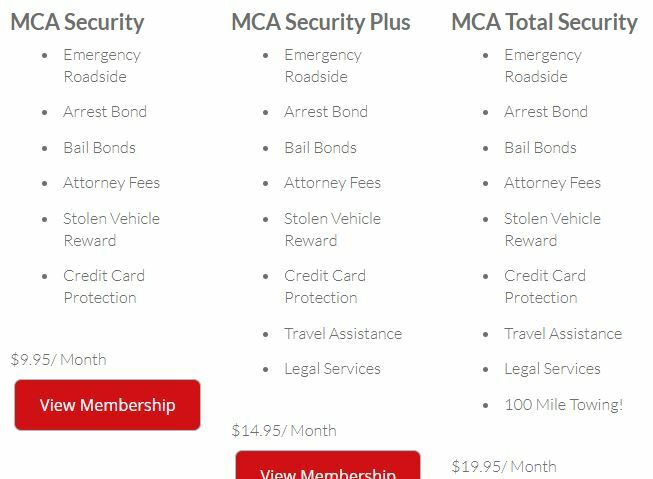 There are some cheaper roadside assistance memberships in the U.S. but MCA promises a high quality and guaranteed value for the buck. They offer many services in one package while many of their competitors only concentrate on one or two aspects and that’s why they can provide a cheaper price. The goal of MCA is to give you a piece of mind when you are on the road. You don’t need to worry about running out of gas or breaking your car because they are always available within a phone call. How to Make Money with Motor Club of America? First, you need to become their sales associate which is completely free. This is exceptional for MLM-programs because usually, you have to pay for joining or at least pay a monthly membership fee to remain in the system. Still, I think that most MCA sales associates/affiliates are also members of their road assistance service. Otherwise, it wouldn’t make so much sense to promote it if you aren’t using it even yourself. You can create an affiliate profile through their website in a few minutes. However, do notice that the opportunity is only available in the North America. If you are living anywhere in the world, you need to look for a better work for home opportunity. MCA representatives claimed that you can earn $80 for each referral who joins the system through you. In addition, you will earn money from your downlines and their sales as well because it’s a network marketing company. A great thing with MCA referral program is that they pay you weekly every Friday. You don’t need to pay one month for the paycheck because it comes every week. This is also a clear benefit compared to many other MLM-systems. Even though they flash the potential of earning +$100,000/year by promoting Motor Club of America you need to keep in mind that only top affiliates in the company are earning such income. On their income disclosure MCA says that average earnings of an associate are less than $100 per year and some people don’t make money with the system at all. Success with MCA results only from hard work, dedication, and leadership. You will be paid based on the sales and recruit, not for hours unlike in a typical 9-5 job. On the other hand, the earning potential is also much greater than in most normal jobs. In how many jobs could you earn $100,000 per year? Not in many I guess. => Learn to Make Big Money Online With This Step-By-Step Training! In my opinion, MCA compensation plan is simple and easy-to-understand, unlike some other MLM-programs. That’s one reason why I think it falls into the best category of network marketing companies with Tupperware, Avon and other old ones (even though they are working in the same industry). I have read and seen several reviews of Motor Club of America and most of them are positive. One reason is, of course, that they earn money when people join the program through their link so they naturally want to talk positive things about the system. 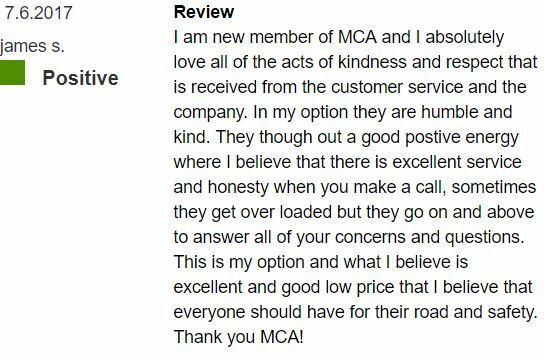 Jonathan received help from MCA on the road. James has also received great service from MCA. These reviews were mainly written from customers’ perspective. Almost all customer reviews on BBB are positive. Of course, there are a few negative ones but can you find me a company that would have 0 negative reviews? 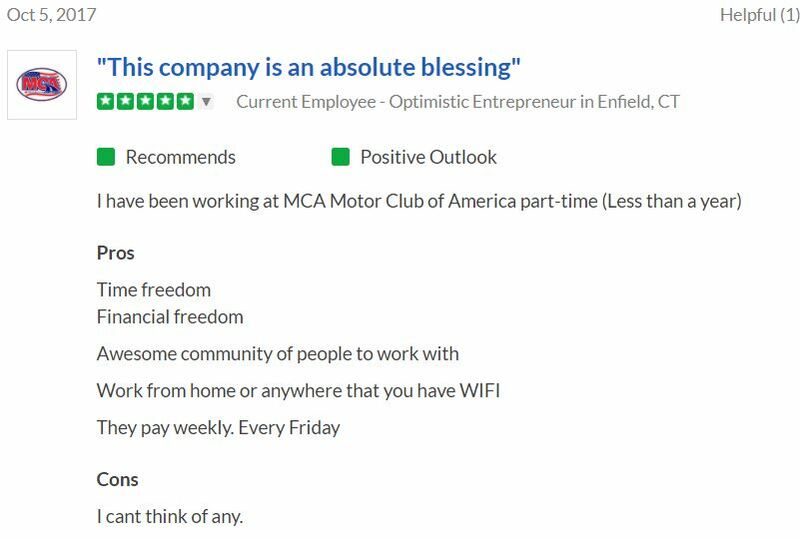 This person is clearly enjoying MCA business opportunity. Of course, many people admitted that you need to do the work in order to succeed. This is not a typical 9-5 job where you would get paid for an hour. You need to adopt the mindset of an entrepreneur where you get paid based on the results you provide. Then I found a few negative reviews of Motor Club of America but it seems that those individuals haven’t really used MCA themselves and shared even some false information on their articles. They just wanted to bash MCA in order to promote their own offer. Conclusion – Is Motor Club of America Worth It? To be honest, if I would be living in the U.S., I would definitely consider joining MCA. Their service seems great and you can promote their program online wherever you have a WiFi. Still, I recognize that this opportunity is not for everyone. You can make good money with their program but you need to be willing to put in the work. Money doesn’t drop to your account automatically. The niche of MCA is pretty targeted compared to many other make money online opportunities: People who use a car in the U.S. and in Canada. There are good and negative things in this. This target group usually has lots of money if we compare on a global scale so it’s easier to sell for them. However, if you want to scale your business worldwide, it’s not possible with MCA. Canada and US are huge countries so there is still certainly enough prospects. The combined population of Canada and US is around 400 million people. If you have a passion for MCA and you love their products, I don’t see any reason why you wouldn’t join their program for free. If you decide to join Motor Club of America as an associate, I highly recommend following this step-by-step training in order to make leads and sales. With the principles and practical steps of that training, you will be able to drive thousands of leads to your business. I know this from my own and other people’s experience. It really works and helps you to make money online. In addition, I provide my 1-on-1 support inside the Wealthy Affiliate community. I want to help you succeed. => Learn to Make Money Online Today with 4 Simple Steps! Do you have personal experience of Motor Club of America or has some of your friends joined their program? Have you learned to get leads effectively on the Internet?